Are you thinking about buying a new phone? Whether you're looking for a capable budget phone that won't let you down or the latest model with the most advanced features on the market, there are lots of good reasons to choose an OPPO smartphone. OPPO is one of the world's largest smartphone brands and has been gaining popularity in Australia since it launched locally in 2014. If you haven't used an OPPO device before, here are 8 reasons why your next phone should be an OPPO phone. OPPO is ahead of the curve when it comes to debuting new device features and capabilities. 2018's flagship OPPO Find X smartphone comes with 8GB of RAM and 256GB of storage at the same price as rival brands' phones that offer just half the memory. Powered by a Qualcomm Snapdragon 845 processor, the Find X offers superior performance for data processing, gaming and other heavy-use tasks. The next generation Find X is already in development with a whopping 10GB of RAM – more than any phone currently available and more than many PCs. 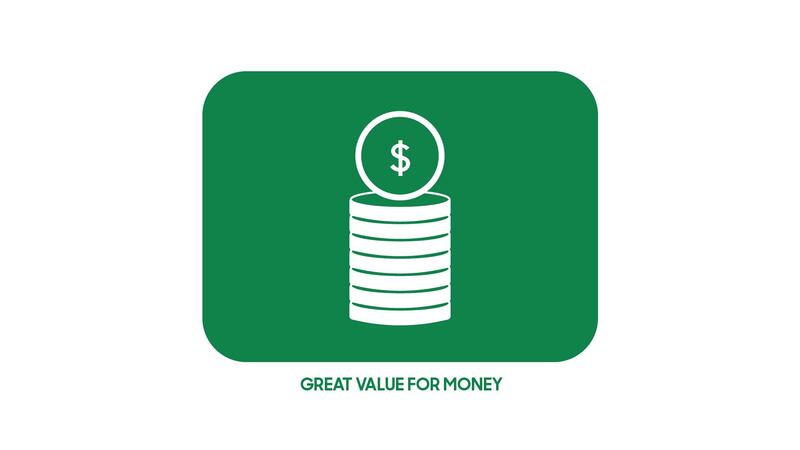 Whatever price range you're looking at, OPPO is committed to giving customers bang for their buck. The top-of-the-line OPPO Find X starts from $1,099 in Australia, cheaper than the flagship phones of other manufacturers and offering superior performance. Even budget phones are packed with high-end features at less than half the price you'd usually pay for these devices. The affordable OPPO AX5 starts from $379 and features 4GB of RAM, 64GB expandable storage, a 6.2-inch HD display and facial recognition security software. OPPO was the first manufacturer to launch 5MP and 16MP front cameras, Ultra HD and 5x dual zoom technology and rotating cameras on smartphones. It also introduced the first 'selfie phone' with built-in beautifying features in 2012. The brand continues to be at the forefront of mobile photography evolution with the launch of stealth cameras on the 2018 OPPO Find X. These slide-out 3D cameras are hidden inside the body of the phone until they're needed, so they don't impact on its sleek edge-to-edge screen. When you activate the camera app, they snap into action with crystal 25MP clarity. OPPO's AI-enhanced 3D camera technology can identify facial features with accuracy, and a range of lighting modes and other filters make it easy to personalise your selfies and group shots. For travel snaps, the dual-lens rear camera offers excellent depth of field and scene recognition software. OPPO's AI-enhanced 3D cameras aren't only useful for taking pretty pictures. 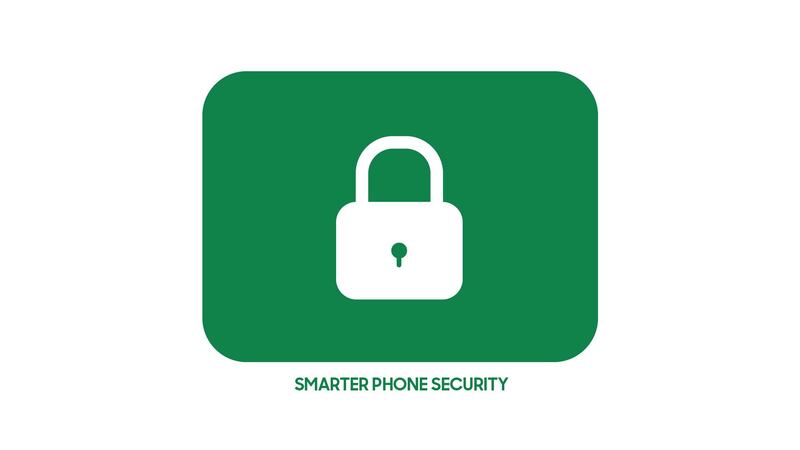 The demand for slimmer full-screen phones has seen fingerprint sensors replaced on new OPPO devices with more secure facial recognition technology to keep your data safe and out of the wrong hands. The Find X is the first Android smartphone to debut 3D Structured Light Technology. This analyses 15,000 individual areas of the user's face for greatly improved accuracy over other facial recognition systems, meaning it can't be fooled by a photo. 3D face recognition is 20 times more secure than fingerprint recognition, with a false acceptance rate of one in a million. The camera automatically adjusts to different light levels to capture the best image in all conditions. This technology isn't exclusive to high-end models either. It's also present on entry-level phones such as the OPPO AX5. OPPO phones are also renowned for their battery life and charging performance. The phones use lightweight, high-density lithium-ion batteries that offer 2 day battery life for average use. This means you won't have to worry about running out of juice in the middle of the day or low-battery alerts interrupting games and videos. 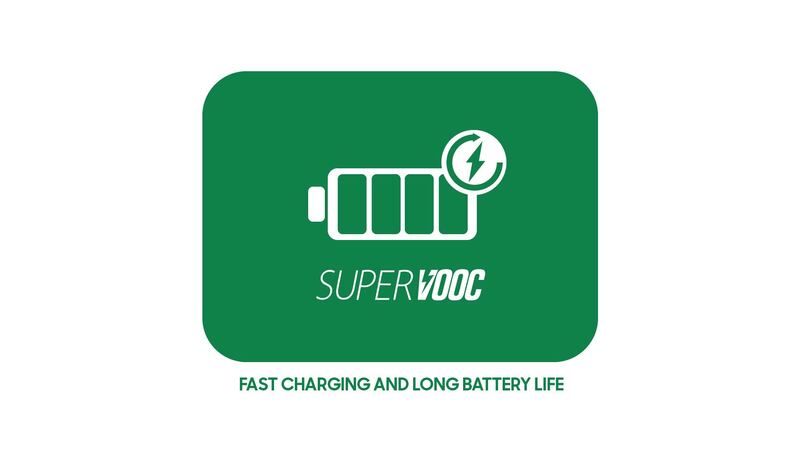 New OPPO phones are equipped with Super VOOC Flash charge technology. This uses 50W of power to fully charge the device from 0%–100% in just 35 minutes, without overheating. Your phone will even charge rapidly when you're watching videos or playing games. You can choose battery saving mode to save energy and extend battery life further. The era of the full-screen smartphone is here, and OPPO is leading the way with the Find X panoramic arc screen offering a 94% screen ratio. All OPPO smartphones are designed to be as sleek and slimline as possible, available in a selection of colours to suit your taste. The Find X introduced a new colour process that reflects light differently at different angles for unique effects. 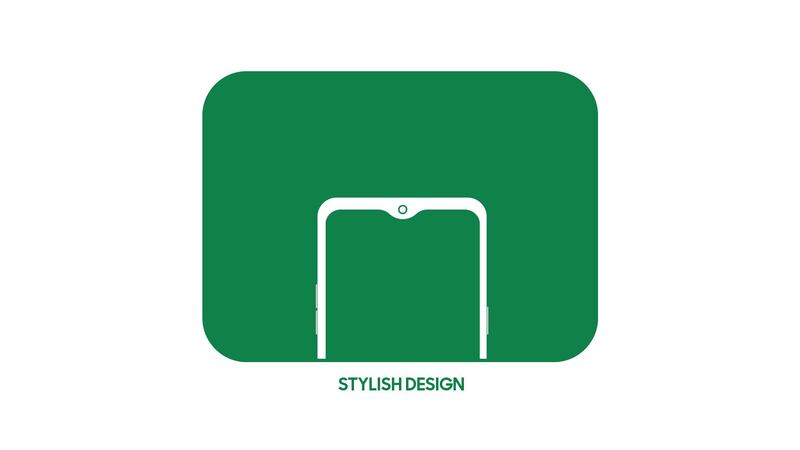 To celebrate the launch of prestigious new models like the Find X, OPPO has partnered with world-leading designers to release strictly limited edition smartphone designs. OPPO's operating system – ColorOS – is based on Google's Android. 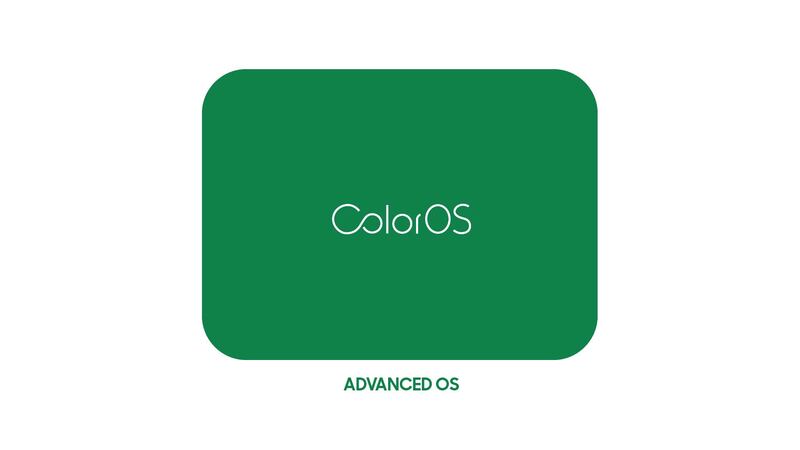 As well as offering the benefits of the latest Android version, ColorOS is constantly being updated to bring new technology to OPPO devices worldwide. New OPPO phones are equipped with ColorOS 5.0 or above, based on Android 8.1 Oreo. Users can choose between software-based navigation buttons or gesture-based navigation as they prefer. The full-screen OPPO Find X debuted with ColorOS 5.1, which takes full advantage of the panoramic arc screen to add icons or notifications right to the edges of the screen, improving the user experience and minimising interruptions. ColorOS 5.2 will introduce Hyper Boost software acceleration for all compatible phones, including the A83, R11, R17 and Find X, boosting app, game and system performance even further. Unlike some mobile brands, OPPO doesn't discontinue its popular devices just because new models are rolling out to stores. They know that not everyone needs or can afford to buy the latest release, and older phones can still be highly competitive, especially when they're reduced to discount prices. 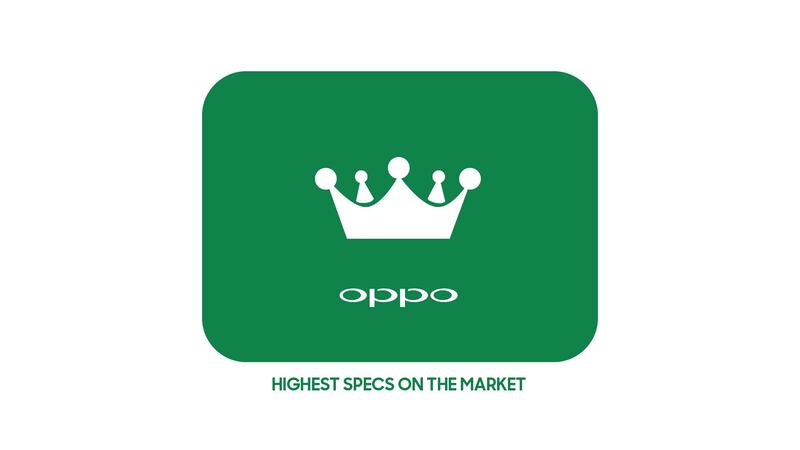 OPPO is continually upgrading its smartphone range, releasing new models throughout the year that cater to different types of buyers – from the entry-level OPPO A3s to the R17 Pro and Find X at the upper end of the market. 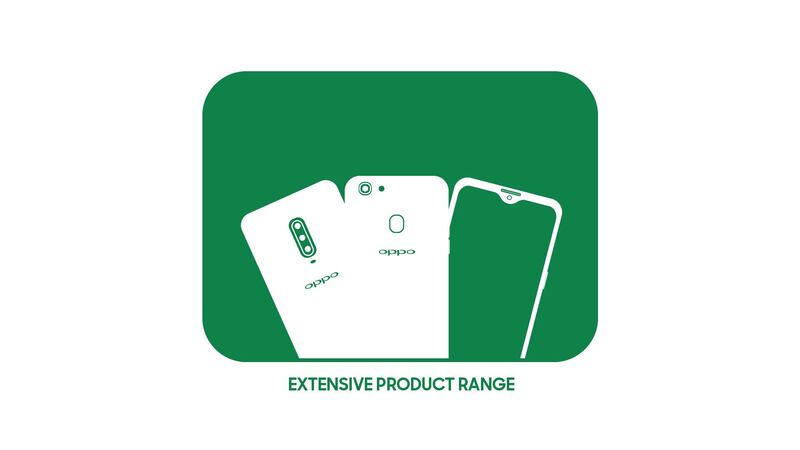 With multiple tiers of smartphones across several generations to choose from, OPPO truly has phones for everyone. Which one's right for you?